Daniels Run Work Wear & Texas Top Hats: Bailey's Western 2x Tombstone 4 Inch Brim Gus Crease Felt Wool Hat Item W0602G Collection Bailey® Western Fabric 2X, Felt, Wool Brim 4" Crown Gus Crease Shape Western The unruly lawlessness of the Old West may be dead and gone, but you can keep that true American heritage alive with a style designed for the real cowboys of today. 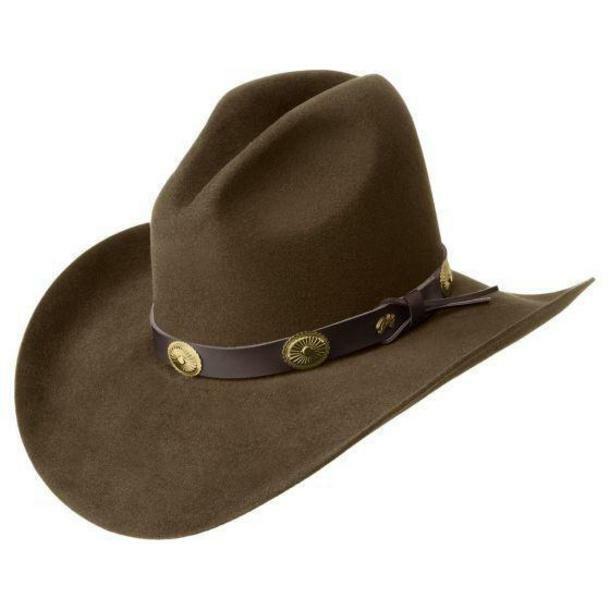 The Bailey Western Tombstone is made from durable 2X Wool Felt and features the famous and distinctive 3 3/4" Gus Crown. A quality leather band with metal concho shells and tails will look great out on the range or out on the town. So saddle up and ride on out to the "Town Too Tough to Die" and look your authoritative best as you tame the west, east, north and south. Colors: Black, Pecan (Brown) Size: 6-3/4, 6-7/8, 7, 7-1/8, 7-1/4, 7-3/8, 7-1/2, 7-5/8 Check before Ordering for sizes in stock at the time. 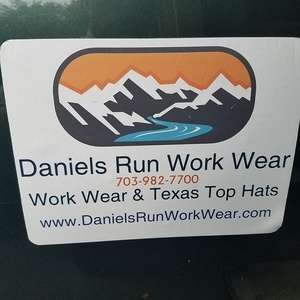 We reorder regularly but some hats take weeks to be made, and only in certain seasons.